· He comes with two face plates including a smiling face and a face with closed eyes. · A variety of optional hand parts as well as a wedding ring are also included. 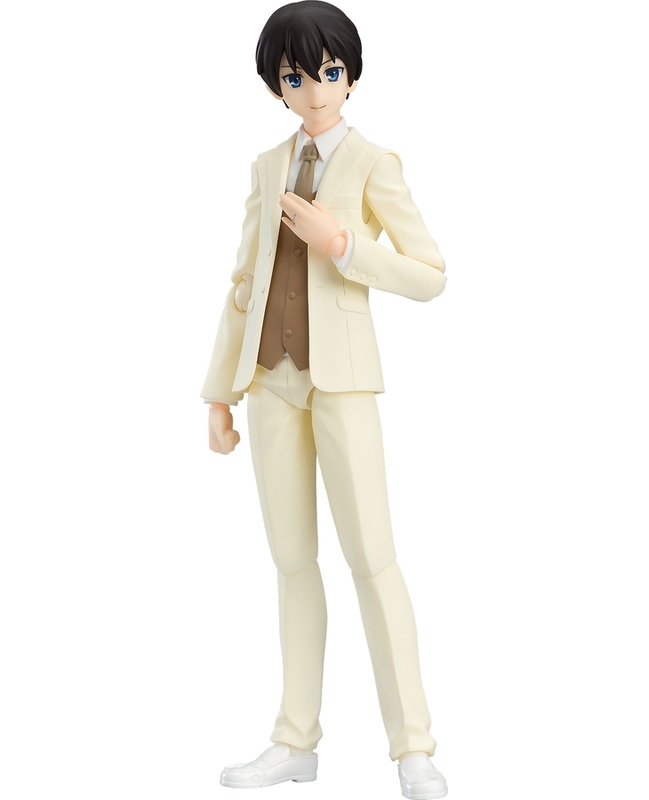 · The figure is standard figma size, allowing you to switch head parts with other characters and create your own original figma groom!